for Soil Testing - Same as above but pressure gauge calibrated 0-25% x 0.25% SPARES : Carbide reagent, in bottles of 500 gms. 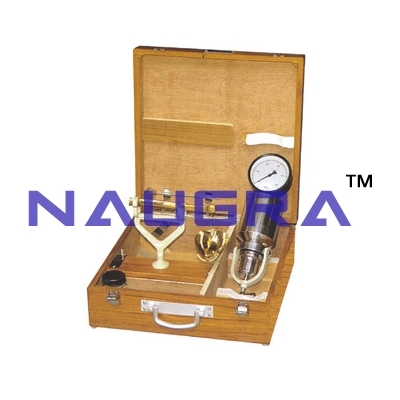 each available on extra cost..
We are leading manufacturers, suppliers & exporters of Rapid Moisture Meter 0-25% For Testing Lab for Soil Testing Lab. Contact us to get high quality designed Rapid Moisture Meter 0-25% For Testing Lab for Soil Testing Lab for schools, colleges, universities, research labs, laboratories and various industries. We accept bulk orders for government tenders in all countries around the globe.